Boat rental for a wedding on the Larus is possible for up to 30 persons. 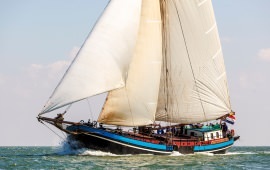 This ship sails here: IJsselmeer, Frisian lakes, Waddenzee. The homeport of this ship is Harlingen. 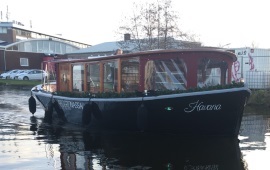 Boat rental for a wedding on the Nieuwe Zorg is possible for up to 30 persons. This ship sails here: IJsselmeer, IJmeer / Pampus, the Markermeer, Waddenzee. The homeport of this ship is Muiden. 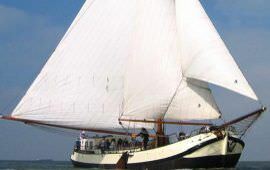 Boat rental for a wedding on the Jean Schmits is possible for up to 30 persons. This ship sails here: Amsterdam canal cruise, The IJ. The homeport of this ship is Amsterdam. 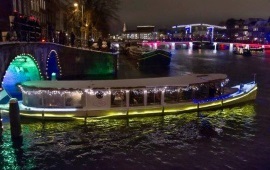 Boat rental for a wedding on the Minerva is possible for up to 30 persons. 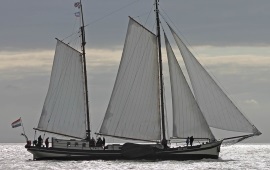 This ship sails here: IJsselmeer, Frisian lakes, Waddenzee. The homeport of this ship is Harlingen. Boat rental for a wedding on the Rea Klif is possible for up to 30 persons. 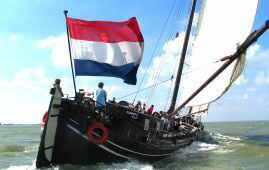 This ship sails here: IJsselmeer, IJmeer / Pampus, Frisian lakes, the Markermeer. The homeport of this ship is Stavoren. Boat rental for a wedding on the Havana is possible for up to 30 persons. 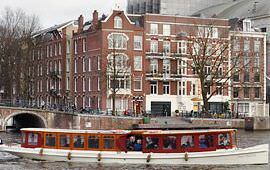 This ship sails here: Amsterdam canal cruise, Amstel. The homeport of this ship is Amsterdam. 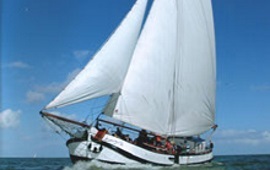 Boat rental for a wedding on the Eendracht is possible for up to 32 persons. 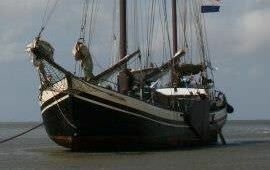 This ship sails here: IJsselmeer, Frisian lakes, Waddenzee. The homeport of this ship is Harlingen. Boat rental for a wedding on the Egberdina is possible for up to 35 persons. 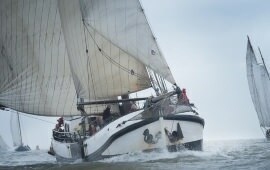 This ship sails here: IJsselmeer, Waddenzee. The homeport of this ship is Hoorn. 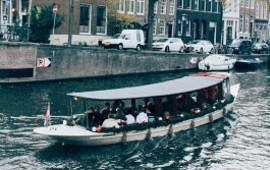 Boat rental for a wedding on the Ideaal is possible for up to 35 persons. 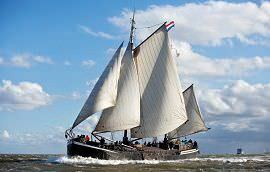 This ship sails here: IJsselmeer, Frisian lakes, Waddenzee. The homeport of this ship is Harlingen. Boat rental for a wedding on the Lis is possible for up to 35 persons. This ship sails here: Amsterdam, IJsselmeer, IJmeer / Pampus, Waddenzee. The homeport of this ship is Muiden. Boat rental for a wedding on the Ms. Agatha is possible for up to 36 persons. This ship sails here: Amsterdam, Amstel. The homeport of this ship is Amsterdam. Boat rental for a wedding on the Avanti is possible for up to 40 persons. This ship sails here: Amsterdam, Amsterdam canal cruise, The IJ. The homeport of this ship is Amsterdam.